Polkadots Cupcake Factory, Austin - TX: Fall is almost here ! Fall is almost here ! September is almost here, it's wedding season. 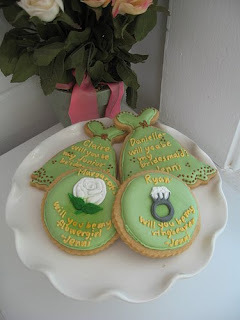 What a perfect way to ask your bridal party with these little cookies! We can customize the color according to your wedding color theme.